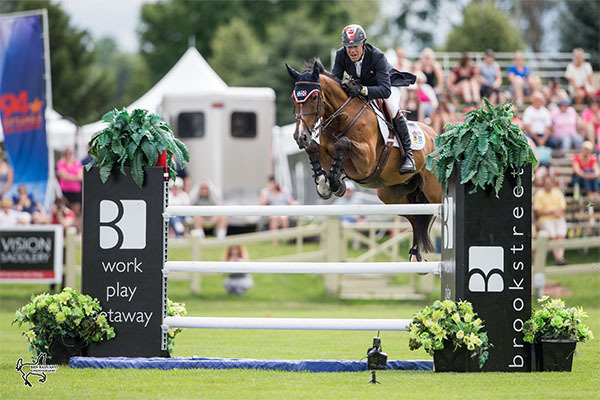 Ten-time Canadian Olympian Ian Millar, known as ‘Captain Canada’ to his fans, added another win to his extensive resume by taking victory in the $50,000 Brookstreet Hotel Grand Prix, on Saturday, July 16, at the Ottawa National Horse Show at Wesley Clover Parks in Ottawa, ON. The large crowd at Wesley Clover Parks witnessed great sport as nine of the 33 contenders jumped clear to advance to the jump-off. Millar of Perth, ON, was the seventh rider to return for the tie-breaking jump-off aboard Teddy du Bosquetiau, a 13-year-old Belgian Sport Horse gelding owned by Emily and Fiona Kinch. The pair made easy work of the jump-off track, leaving all the rails in place and coming home in a time of 42.43 seconds. Melissandre Lincourt of Montreal, QC, immediately followed Millar and gave him a run for his money over the course designed by 1976 Olympic individual silver medalist Michel Vaillancourt. She came close, stopping the clock in 43.79 seconds to finish second riding Just Stella L, a ten-year-old Oldenburg mare owned by Gabrielle Pelchat. Millar’s son, Jonathon Millar, also of Perth, ON, jumped clear in the jump-off with a time of 43.87 seconds to place third with Daveau, an eight-year-old Dutch Warmblood gelding owned by his family’s Millar Brooke Farm. For Ian, competing at Wesley Clover Parks is incredibly meaningful, as he has spent a lifetime riding at the facility and has been instrumental in developing the riding school program and competitions on-site throughout the years. He has been an advisor to the Wesley Clover Parks organizing committee, headed by Karen Sparks, since it took over management of the facility in 2013 and reintroduced world-class show jumping to the nation’s capital in 2015. “This is where I really learned about show jumping when I was 15 years of age,” said Ian of the facility now known as Wesley Clover Parks. “This is where I really started with two-day eventing, three-day eventing, and the jumpers. The big shows were in Montreal and Toronto; we were sort of the bush league back then. So when the opportunity came along years ago to get this place going and get a show here, I was so excited to do it. To be able to bring show jumping to this area was very important to me, and to all of the people on the committee. Ian’s own future is also looking bright. 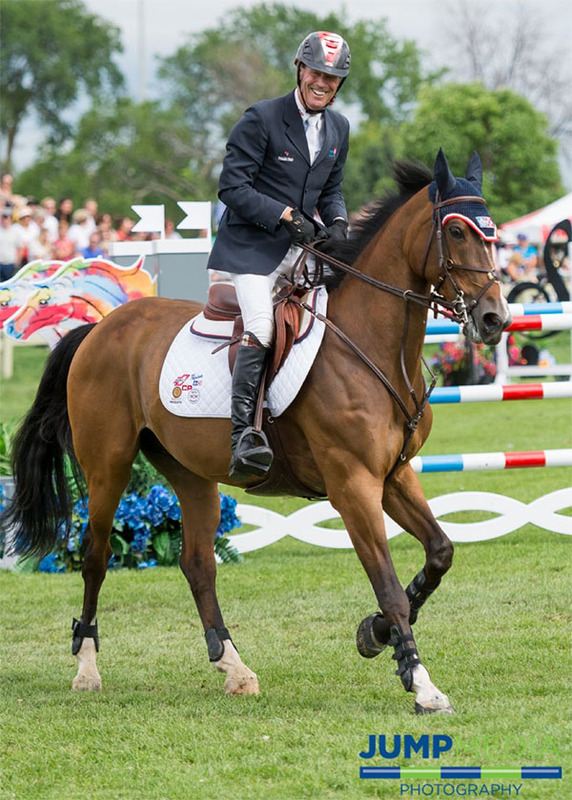 The Canadian Show Jumping Team for the 2016 Rio Olympic Games was announced during the Ottawa National Horse Show, and Ian’s daughter, Amy, was named to the four-rider squad. While the elder Millar will not be riding in Rio, he debuted a new horse, the eight-year-old Hanoverian stallion Vittorio 8, at the Ottawa National Horse Show. Where did Ian go to find a new grand prix partner? 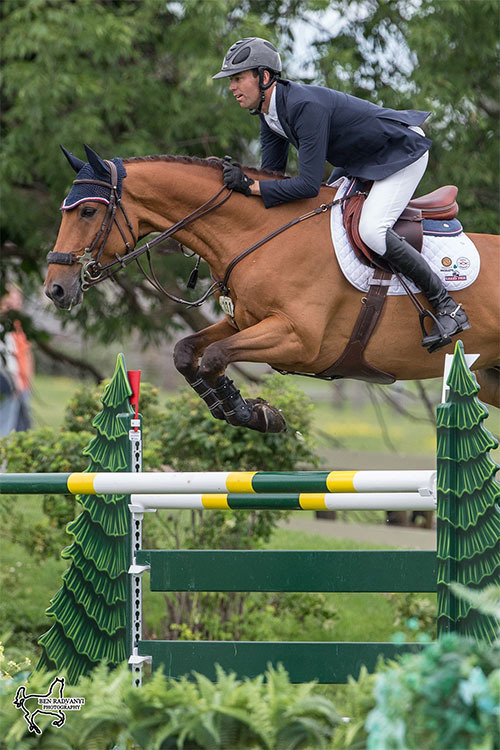 Competition at the Ottawa National Horse Show concludes on Sunday, July 17, with the popular feature event, the $10,000 Canadian Hunter Derby, sponsored by Topline Trailers, beginning at 2 p.m. 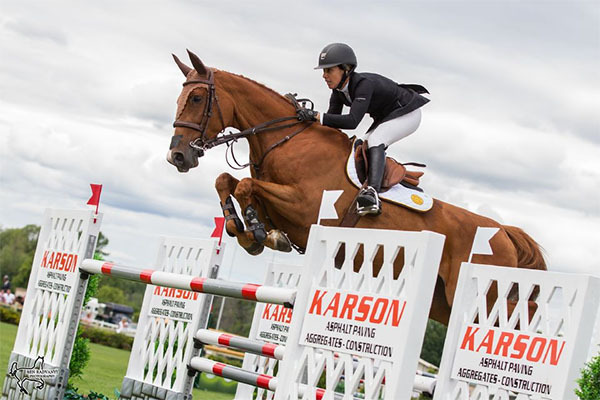 World-class show jumping sport then continues at Wesley Clover Parks on Wednesday, July 20, with the CSI2* Ottawa International Horse Show running through Sunday, July 24. To find out more about the Ottawa National and CSI2* Ottawa International Horse Shows, click here, visit www.ottawaequestriantournaments.com or follow Wesley Clover Parks on Facebook here. For complete results from the Ottawa National Horse Show, visit ottawa.showmanagementsystem.com. Everyone is encouraged to share their Wesley Clover Parks experiences using #TheParks.